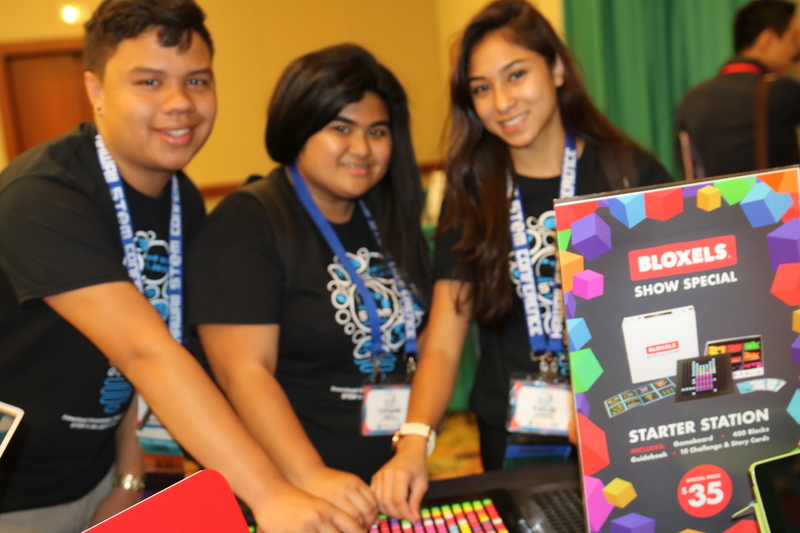 Students create their own video with Bloxels, an educational software that promotes a greater understanding of design logic, computer science and other STEM skills. Pictured left to right: Keaʻau High School’s Jeremy Hirai (11th grade), Chyann Areola (11th grade), and Kaylee Marquez (12th grade). PC: Maui Economic Development Board. 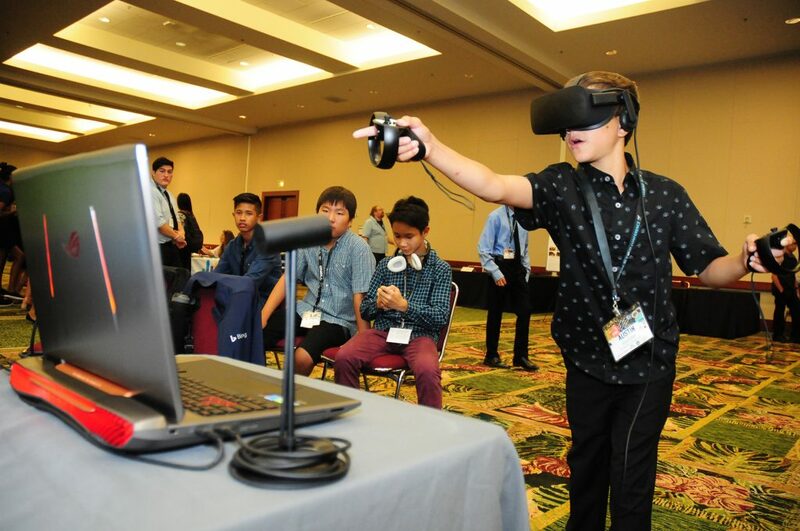 More than 1,000 students, educators, industry partners and community leaders throughout the state and the nation gathered for this year’s 9th Annual Hawaiʻi STEM Conference held on April 10-11. 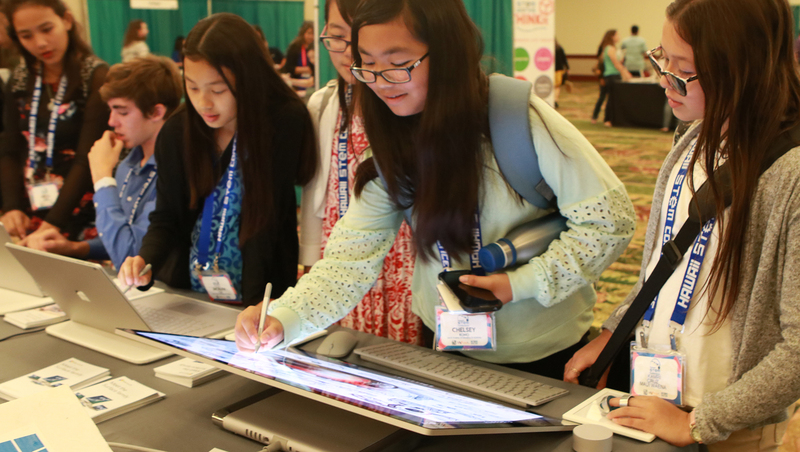 The conference is the state’s largest STEM event dedicated to engaging a new generation of Science, Technology, Engineering and Math innovators in Hawaiʻi. 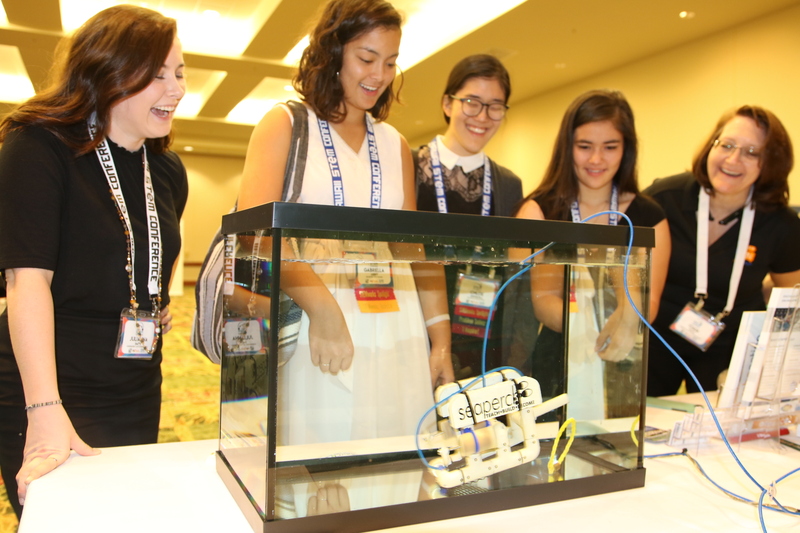 Held at the Hawaiʻi Convention Center, the conference was presented by STEMworks™, a statewide program spearheaded by Women in Technology, an initiative of Maui Economic Development Board. Students and teachers representing intermediate and high schools from every island across the state participated in this regional technology conference which featured over 61 hands-on student sessions, 25 teacher professional development sessions, 14 software competitions, an interactive STEMworks™ Playground. This format offered over 77 mini STEM sessions, a formal awards banquet (“The STEMMYS), a STEMworks™ Spotlight showcasing the STEM service learning projects by Hawaiʻi STEMworks™ students statewide, and a 5×5 Session that provided students the opportunity to engage with five different STEM industry professionals in a speed networking format. Those who attended the Hawaiʻi STEM Conference touted the impact STEM education and the annual conference continues to have. 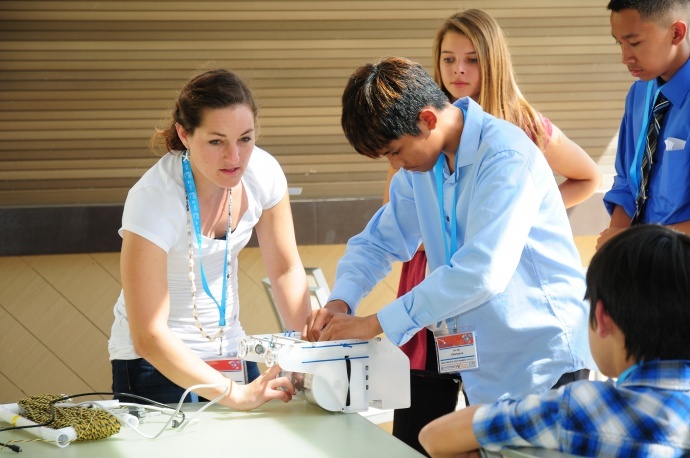 “The best part of the Hawaiʻi STEM Conference was meeting other teachers who are passionate about integrating STEM in their classrooms and helping our community in the process,” said Ryan Towata, a teacher at Wailuku Elementary School. * Winning videos are available for viewing online. The 9th Annual Hawaiʻi STEM Conference was sponsored by: Creative Industries Hawaiʻi/DBEDT, Kaiser Permanente, Bank of Hawaiʻi Foundation – Mike Lyons Maui Community Award, Microsoft, Verizon, Hawaiʻi Energy/Blue Planet Foundation, Hawaiian Electric Company, SketchUp, Hawaiʻi Geographic Information Coordinating Council, Hawaiʻi Association of Independent Schools, Public Schools of Hawaiʻi Foundation, Transform Hawaiʻi Government, USS Bowfin Submarine/Pacific Fleet Submarine Memorial Association, Sempra Renewables and Engie.